St. Patrick, Ireland, St. Patrick's Day. Simple, right? The man wasn't even Irish! He was actually born in Britain around the turn of the 4th century. At 16 years old, Irish raiders captured him in the midst of an attack on his family's estate. The raiders then took him to Ireland and held him captive for six years. After escaping, he went back to England for religious training and was sent back to Ireland many years later as a missionary. 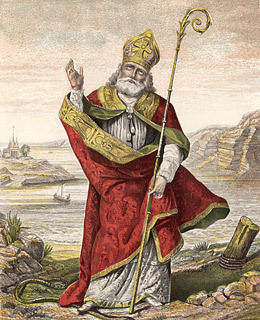 St. Patrick was actually born Maewyn Succat, according to legend; he changed his name to Patricius, or Patrick, which derives from the Latin term for "father figure," when he became a priest.